The SubPac is a product that people in the electronic music and hip-hop worlds are talking heavily about. By transferring sub-frequencies directly into your body, the Subpac allows for the direct monitoring of low-end content. In order to better understand it’s recent buzz, I contacted John Alexiou, the CEO of Subpac’s mother company, StudioFeed, and we had a chat their work. Hi John. Can I start by asking about your audio background and what motivated you to create SubPac? I’ve been playing music since I was five, and in my late teens I started leaning towards electronic music and bedroom production. Ever since high school, I’ve been interested in starting a music organization and my interest was to create one that links community and technology as much as possible. So I spent some time working in the finance industry to save money for it, and was able to quit that job three years ago to focus on music. My job at SubPac tends to be more business-oriented. We have engineers who are responsible for building the product itself. You have offices in Canada, the US and the UK. What did the process look like for spreading out to these different places? Our first office was in Toronto. We had a studio thre that artists could come to produce music and do streamed DJ sets. We also had an engineering lab where we worked on the SubPac. It wasn’t until we had the first prototype that we started looking at other spaces. LA and London were the two cities that really embraced what we were trying to do. Obviously, there’s a long history of bass culture in the UK and there’s a ton of creativity coming out of the West Coast. So we got lucky in terms of locations. We have a minimal footprint in both cities, but it was important for us to be physically located in places that pushed the envelope from technology and bass culture standpoints. When I look at the Subpac website, it isn’t immediately obvious that Subpac is associated with StudioFeed. Was it a deliberate move to portray SubPac as a stand-alone entity by giving it a website of its own? Because it’s a new type of product, we really want it to have its own identity. StudioFeed is meant to be the incubator for different ideas, and SubPac is our first. So we like the idea of spinning off these ideas to have their own types of personalities. Unlike coming up with a MIDI interface or headphones, which people are familiar with, there is a challenge in educating people about a new type of product. So we felt this was the best way to do that. Where did the initial idea for SubPac come from? The original idea came up in the late 90s. I had been going to events which revolved around sound system culture and rave parties. I hadn’t been exposed to a proper sound system until 1996, which was life changing. Years later, I started to research things like tactile sound, and as time passed, more low frequency-based music was being released. However, the way it was produced was through earbuds and laptop speakers, which was the opposite of what was needed for this type of music. So there was obviously a dimension missing, which was the physical dimension that connects the dots on the recent productions that are being put out. In order to design and manufacture the Subpac, what kind of technology did you guys have to have to acquire? Did you have to reach out to the different engineers to help you with the project? It’s a combination of speaker components, tactile membranes (materials that vibrate in an ideal way), and electronics like filters and amps. Basically, through word of mouth in Toronto I had the opportunity to meet up with some very talented engineers that helped us put everything together. Can you tell me why musicians should view this product as accurate in how it represents low-end information? Is it something to be trusted implicitly when producing or mixing music? In terms of accuracy, tactile monitoring is more accurate for sub-frequencies and bass than your ears. From 20 Hz to 100 Hz, your body is a better gauge of how elements in the low-end of the mix fit together. All the issues associated with the dynamics of the room are eliminated if the monitoring is directly coupled to your body. So the idea of having a tactile monitoring system for the low-end really eliminates all the issues associated with acoustic problems in the room, and also with your ears. We think that by pushing forward on tactile monitoring, it’ll become a part of people’s studio setup. We have guys using SubPac who make a very good living in music, and already have their own treated studios. Yet, these people use SubPac as a test for any artifacts that might be present in their music that they can’t hear, and will use it on the road quite a bit too, as a mobile solution for bass monitoring. There are different people that are getting behind the SubPac. There’s the professional musician, who may want to use it as a tool to monitor the low-end. Other users may want it on the road, which will allow people to get immersed in the sound. It also helps DJs with listening to promo material. With headphones, you’re not really understanding what’s happening in a live environment. I’ve had people email me, saying that they signed certain acts because they could hear what their music would sound like in the club, and it translates really well. Then we have bedroom producers who might have issues with neighbors at night. Much of that has to do with the low-end, which travels through walls. 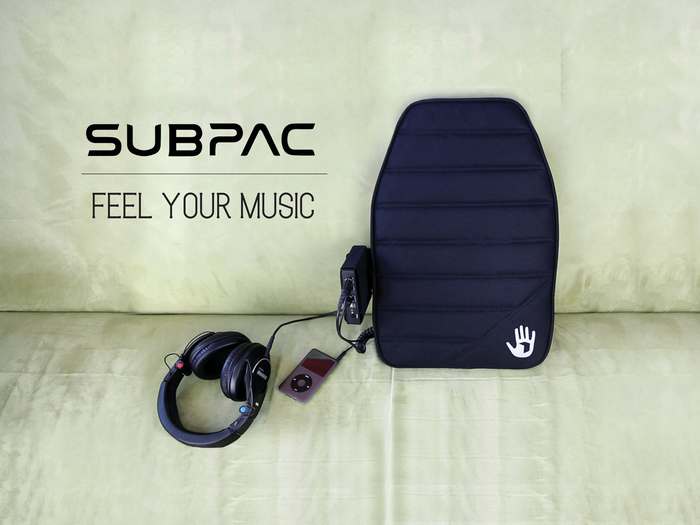 Subpac gives them a low-end monitoring system that doesn’t bother people, and lets them make music well into the night. Finally, something that has become more obvious is people’s hearing loss and tinnitus issues. We feel that Subpac is a natural solution to hearing loss, because when you experience the physical side of things, you don’t have to push volume levels as much. I get people saying that they can now mix at a much lower level, because the reason for them pushing their volume’s up was to experience the physical sensation of the sound. Speaker size is an important consideration for bedroom producers, since smaller speakers can hinder effective low-end monitoring. Does Subpac help address such problems by making that lost lower spectrum available? Yes, absolutely. The frequency response of the Subpac is 5 Hz to 125 Hz, with a relatively steep roll-off after that. 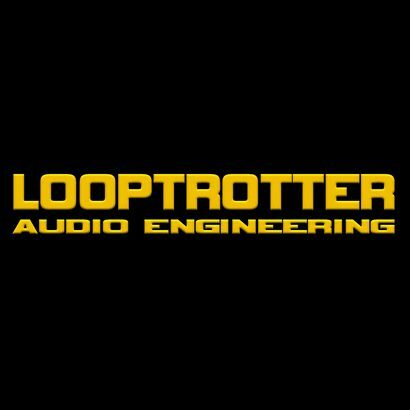 So it’s a solution for the lack of low-end in studio monitors, and replaces the sub woofer in that sense, as well as lending itself to traveling musicians. A sub woofer transfers low frequencies to your ears through the air. Subpac delivers the same frequencies with the same accuracy, but to your body. Is there a differentiation between how Subpac should be used by professional musicians in the studio and regular fans at home? No, there isn’t a different way to use it. Our main focus is on studio use, but the casual fan who just enjoys music can use it to better understand what the artist is trying to get across with their music. Richie Hawtin just released his Plastikman “EX” album, and we partnered with him to do a limited run of the Subpac, vinyl and some other goodies. So it’s a way for his fans to buy his music and experience it the way he meant for it to be. Are there any dangers associated with using SubPac, seeing as the frequency content is being directly transmitted to your body? No. We’ve calibrated it such that it’s not going to physically harm you. Of course, anything overused to great extents can create issues, and we advise people against 24-hour usage, but it’s similar to the experience you get at a club in terms of the sensation, which will be familiar to many people. Can you expand on how StudioFeed has gone about getting artist support for Subpac? It was a door-to-door situation. We’re trying to change the paradigm of how people experience music, and the best way to do that is to go straight to music makers, telling them what we’re about and asking them if they want to meet. Most of them say “yes” because it caters to something that’s missing for them. As soon as we meet a handful of artists, we get introduced to more. Much of our early days were spent traveling in Europe to different artist studios and meeting with them, so the relationships happened very organically. Before we wrap up, I want to ask about StudioFeed’s other endeavors. Your website says that you’ve done radio shows in the past. What’s the current status of that? Also, are there any future plans for your Sound in Motion music festival? We’ve had to put the radio shows on hold for a few months, just to get things rolling with the Subpac. We’re music fans and a lot of our friends are music promoters, so the radio show served as a platform for different crews to come in and perform DJ sets and stream them to the community. We’ve done two Sound In Motion festivals already, but put it on hold this year. We’ve got plans for it in the future though. StudioFeed’s Facebook page says that you guys “support independent music”. Is that an intentional choice on your part, or is it the result of being a new company? Would you ever partner with major labels on your projects? We’re open to a number of partnerships, but at our core, it’s always going to be about independent, underground music. That’s where innovation happens, as well as the strongest connections between artists and fans. What’s next for you guys at StudioFeed? Right now we’re focusing on the Subpac. There’s many different elements of what we can do with it, so we’re putting all our energy into that. A big part of what we’re doing is trying to introduce music to the deaf community. Vibrations are a great way for people who are deaf to feel the impact of sound. It’s something that’s not necessarily a priority for a tech company, but it’s something that we’d like to expand on.